I’m about 2/3rds of the way complete towards my goal of reading 60 books this year! I started really tracking my reading in 2014, with no set goal in mind. I ended up reading 54 books. For 2015, I upped my goal to an even 60. I read every night before bed for anywhere from 20 to 60 minutes. On my days off (I work part time), I can get in a couple hours of extra reading time, and on the weekends I sometimes spend mornings or afternoons reading. Also, I work part time, which gives me extra time to dedicate to reading that I know not everyone else has. If I could afford to, I would work part time forever! It’s so wonderful. I think those European countries with the 4 day work week are really onto something. I was unemployed for 5 months before getting hired at my current job, which I love – its an amazing institution, with great coworkers, and I’m doing productive work. I want to stay in this position and show some growth/development, and get some longevity on my resume – I’ve jumped around a lot the last few years, so all my positions are only for 1 or 2 years. I think scraping by on a low salary is worth establishing myself a little – plus my job title sounds prestigious (if I do say so myself), which I think will help a lot whenever I move on. My current plan is to wait until Spring/early Summer 2016 to look for a better paying job, either with the same institution as an internal applicant or elsewhere, after I’ve reach an official year in my current position. Plus, I’ve heard rumors of people retiring in my department, meaning that positions could open up or roles could change… you gotta be patient sometimes. Sorry for a detour into personal details – but I get a lot of questions about how I have so much time to read, or how I’m able to read so much. It’s a combination of having the time to do it, and making it a priority. I always read at night. Reading during the day is an added bonus, especially if I’m in the middle of an amazing book. If I’m really into a book, I’ll take my kindle to work and read on my hour lunch break. Reviewing the 41 books I’ve already read, I’m really proud of myself! I’ve read some amazing books this year, and I hope that the fall and winter have even more good reads in store for me. Click here to browse my 2015 Reading Challenge on GoodReads. You can always add me on Goodreads, I love seeing what everyone else is reading!! 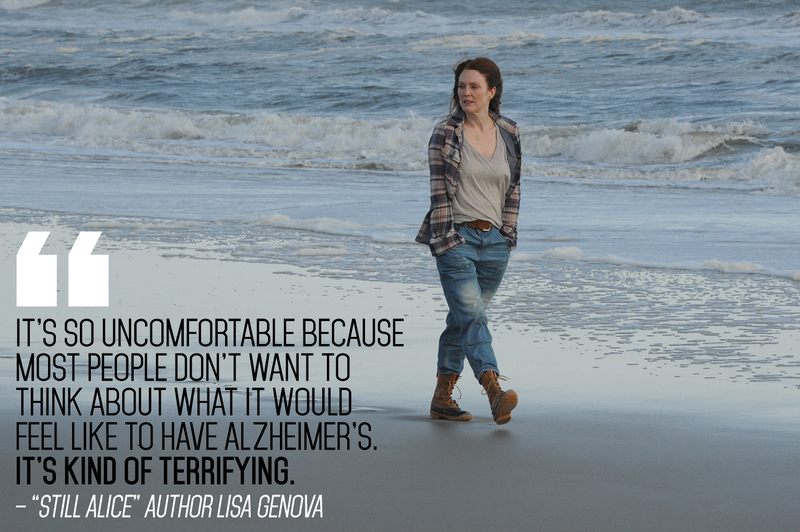 I read Still Alice last week in 2 sittings – it was a very very moving read. At first I thought the writing was a little simplistic, almost like a fiction story you’d read in a women’s magazine, but once the story gets going, I was so engrossed in the characters that I didn’t notice anything else. Alice is a professor at Harvard who thinks she is suffering from menopausal memory lapses/distraction before getting a diagnosis of early on-set Alzheimer’s. The book is written from Alice’s perspective, and as her disease progresses, her POV is altered, too – making the reader feel as if they too are descending into the hole with her. That quote up in the photo is a great little wrap up of the book – uncomfortable, terrifying… it’s an emotional read! I’m glad I checked it out from the library, I feel like I have more insight into Alzheimer’s – a disease we hear so much about but probably don’t know much about. This is a very quick read – not a very uplifting one, although it ends on a fairly positive note. Worth checking out and reading one weekend! I read the 5th book in the Outlander series last week, The Fiery Cross. I am now over 5,000 pages into Claire and Jamie’s story, and I’m still trucking along. I haven’t experienced any Outlander fatigue, although sometimes I do laugh at the story lines that go on for 100 pages only for the outcome to have no actual import on the big picture. If I didn’t love the characters so much, it would drive me crazy. Claire and Jamie’s relationship is just as engaging as it was at the start. Bree and Roger are more fully fleshed out, which makes their story lines more interesting – in the last few books I wanted to rush through their chapters to get back to Claire and Jamie. The historical detail – I love it!! Especially the medicine – some reviewers say they are tired of all the attention bestowed on Claire’s medical practice, but I think it’s fascinating, and fairly well done! Like I mentioned before, the plot lines that go nowhere. At one point, the militia is mustered, on the march, they find an abandoned cabin, adopt some orphans, find a weird medical emergency that Claire needs to solve, have a run in with a panther (?? ), and then get a note that calls off the whole thing. So the militia goes back home, after 250 pages of trekking around. The pacing – the book opens at a Gathering, where all the displaced Scottish settlers in North Carolina gather for a 3 day festival. Specifically, it opens on the last day, and the first 200 pages take place all between dawn and noon? SO MUCH HAPPENS, and I keep assuming that the afternoon has gone by, and we’re getting close to the evening’s activities but no, it’s still “mid-morning” and they haven’t had breakfast yet. Very disconcerting. Overall I really enjoyed reading this. I spent a day off reading all day! I barely touched the internet! I was 100% in the early 1770s with Claire and Jamie and the rest of the gang at Fraser’s Ridge. That being said, I do need to take a break between each book in the series, I don’t think I’ll be ready for #6 until next month, or maybe even the end of summer. I went into the Nightingale very skeptical. #1, I don’t trust people with 2 first names…. #2, I am VERY skeptical by a book with almost unanimous 5 star reviews. 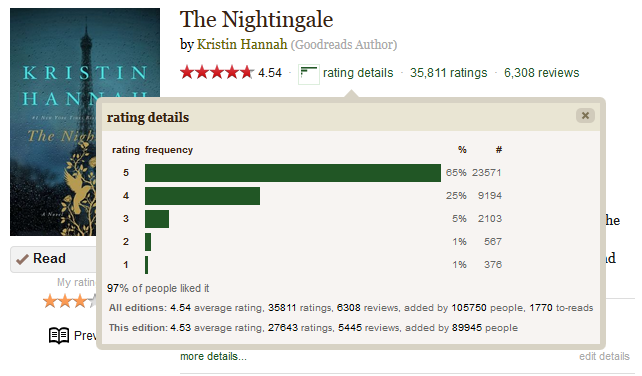 4.8 rating from almost 8,000 readers?! I better have my socks knocked all the way off. Seriously?! The Nightingale was recommended to me by Amazon because I liked All the Light We Cannot See by Anthony Doer. Anthony Doer won the Pulitzer Prize for that novel, and I don’t think it has this many good reviews. Whoa, 23,000 5 star rating on Goodreads – I get it, I get it, this book is good. So did The Nightingale live up to my expectations? Yes and no. I did stay up until 2 am on a work night finishing this story. I looked forward to reading every day. I was invested in all the characters. I was a little sad to reach the end. But was it the BEST WWII book I’ve ever read? No. In fact, it felt like coming home to the genre. It was predictable in all the right ways. Emotional in the right ways. 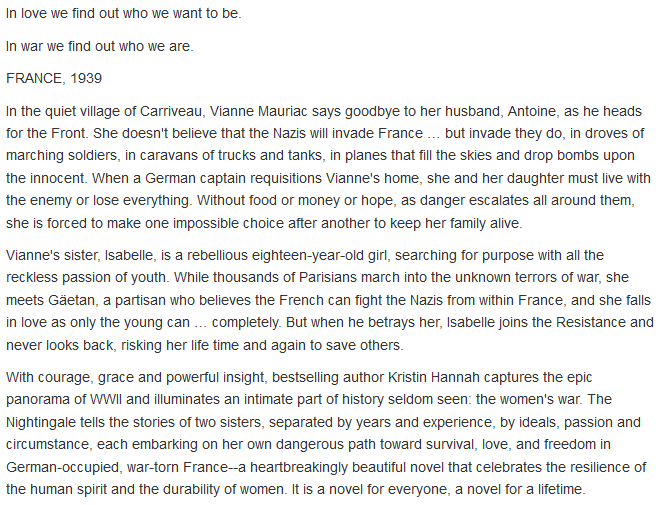 Covered every aspect of the war – French resistance, occupied France, concentration camps, life in Paris, new love and love lost, deaths, separation of Jewish families, I could go on! It was doing too much – like Kristin Hannah said to herself “I am going to write a WWII epic” and tried to include all the hits. “A novel for a lifetime” – I don’t think so. It was a good read. Thrilling, romantic, awful, engaging, but not the best novel ever. I enjoyed reading it. It does not make my list of best WWII novels by a long shot. 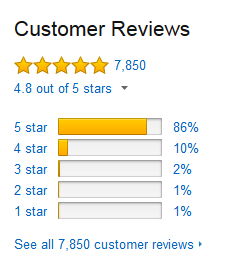 I think that the majority of its good reviews are from people who haven’t done much reading in the genre. My hope is that the Nightingale serves as a starting point to a rewarding journey. I will make a short post with a list of much better WWII novels – I was inspired to think about my favorites and got so excited thinking about all these good stories that I need to share them. Expect an update soon! I borrowed 6 books for my 5 day trip back to Sacramento over Memorial Day -did I have a jam packed schedule of things to do while there? yes. Was I so tired every night that I crashed before doing any bedtime reading? yes. Was my only time to read the time I spent traveling? Also yes. So 6 books was excessive. I started Death in the City of Light before finishing the Painter – I was very emotionally invested in the Painter and needed something more “light” for the plane – so of course a book about a deranged serial killer doctor in Nazi-occupied Paris was the perfect choice. I could not believe this book was true! It was nuts! David King did a great job with the pacing and bringing this story to life. If you like Devil in the White City by Erik Larson, you’ll like Death in the City of Light. Speaking of Erik Larson, Dead Wake stunned me. I think it was better than Devil in the White City, which I’ve read a couple times. I had to return it to the library on Saturday afternoon, so I spent Saturday morning finishing the last half of the book. Oh, I cried. I was anxious. My heart raced. I cried again! Even though you KNOW the ship is going to sink, you want to believe up until the last possible minute that it won’t happen. I think that’s the sign of a good history book – when the author brings you so close to the people and the events that you believe it won’t happen, or that it’s happening organically now, and things could be different… A++ from me. The night before last I finished Committed by Elizabeth Gilbert. I loved The Signature of All Things last year, and really enjoyed Eat, Pray, Love. I like Gilbert a lot! So I finally got around to Committed, and it was interesting, especially since I’m getting married later this summer. Really interesting history of marriage and it’s historical/cultural/religious significance and how it’s changed over the thousands of years we’ve been doing it. 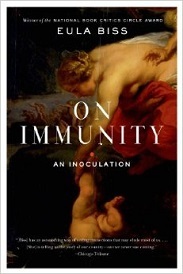 On Immunity by Eula Bliss – really wonderful history of vaccination and exploration of the anti-vax movement, from the perspective of a new mother making decisions about her new baby’s health. I think I read this in 2 nights, it’s a nicely done little book. 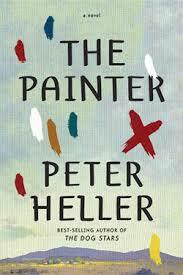 The Painter by Peter Heller – I really like Peter Heller. 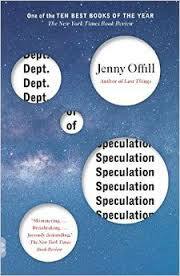 I read the Dog Stars earlier this year and was entranced. The Painter was more gritty – about a painter in the Southwest who goes on a killing spree – well, he kills one man, then another. I can’t explain it, it was just really great – here is a good review from the NYT. Remember, you can always follow me on Goodreads – I love seeing what other people are reading, don’t be shy – add me! 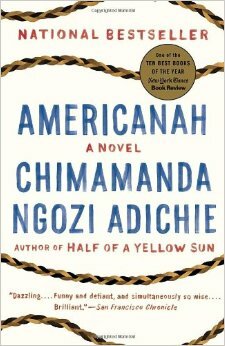 I read Americanah by Chimamanda Ngozi Adichie (finally) and loved it – I won’t go into much of a recap but trust – all the hype and praise and recommendations are much deserved. 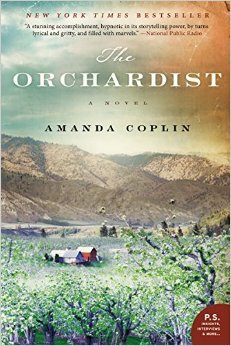 Haunted by the disappearance of his younger sister forty years earlier, William Talmadge has taken refuge in the careful tending of his isolated apple orchard. His solitary life is shared only with the local midwife, Caroline Middey, and Clee, a Nez Perce horseman and childhood friend. Then two half-wild, starving and very pregnant teen-aged girls arrive. They are Jane and Della, sisters who have escaped the abuse of a brothel and its proprietor Michaelsen. Curious, but respectful of their wariness, Talmadge patiently cultivates their trust and creates a haven for them among his trees. A series of tragedies leaves Jane’s baby daughter, Angelene, in Talmadge’s care and sets Della on a lifelong journey to reconcile her own demons. But I don’t think the book is about Della. Della is an awful character. Well, she is a complicated character that a lot of awful things happened to, and she isn’t the person you are most drawn to. Angelene and Talmadge are the true stars, the ones you root for, and it is their trajectory that readers are most invested in. Their journey fuels this story, but the spark that brings it all to life is Della. And I am still slogging through the Outlander series. 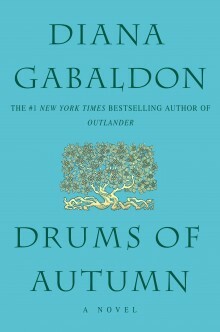 Drums of Autumn… where do I begin? 1100 or 1200 pages later, I’m still hooked, but I feel like a jaded old timer when I talk to people who have one read the first book, or just watched the show. In Drums of Autumn, there are story lines that take 200 or 300 pages to resolve, and have NO EFFECT on the bigger storyline. But I read on anyway, I love Claire and Jamie, I love their little family, and although I wasn’t nuts about their daughter Bree’s storyline, I have even gained some affection for her and Roger… So yes, I will be reading on until the bitter end, but for now I am on an Outlander break. I currently have my reading blog on tumblr – however, I’m interested in expanding my blog and seeing what else the internet has to offer. My own .com? Maybe! Making a little money off something I enjoy doing? Maybe! I don’t want to start a career as a book review blogger, but I do think that I’m a pretty awesome person who is reading some incredible books, and I want to share all that with the world/internet. Please feel free to explore my preview posts on Rose Reads Books! on tumblr, I have almost 2 years worth of posts there.